The MTNA Foundation was established to support the aims of the Music Teachers National Association. It offers an opportunity for philanthropic giving to support the organization’s goals. The fund supports many of the national competitions, as you will see as you page through this booklet. The Foundation also supports teacher enrichment grants and local association grants, and has a fellowship program to encourage and enable young teachers in independent music teaching studios. The MTNA Foundation is committed to keeping America’s musical future alive for succeeding generations by supporting programs that demonstrate the value and enhance public understanding of the music teaching profession. The MTNA Foundation supports comprehensive programs that nurture the creation, performance, study, and teaching of music. SDMTA offers student scholarship support through its J. Earl Lee Fund. This endowment was established as a tribute to J. Earl Lee, longtime chair of the piano department of Augustana College in Sioux Falls and a founding member of SDMTA. Dr. Lee educated many of the piano teachers in the state, either through his work at Augustana or through his generous hours of continuing education offered to anyone willing to learn. He presented workshops for music teachers and shared his expertise willingly with anyone who stopped to visit with him. Most of all he encouraged and supported developing students, young and old, and cheered on his peers in their efforts to raise the level of music education in our state. The funds raised for the J. Earl Lee Fund are used to subsidize travel to the national conference for South Dakota student winners of the divisional performance competitions. Susanne Skyrm has been a member of MTNA and SDMTA since 1988. She has served the organization in a variety of positions, including SDMTA High School Auditions Chair and MTNA High School Auditions Chair for South Dakota; State Foundation Chair (12 years); and Vice-President and President of SDMTA. She also served as a West Central Division Member-At-Large for 3 years. She has been a Nationally Certified College Faculty Member since 1994. 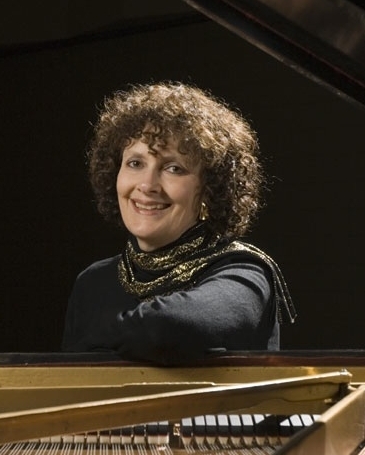 She teaches piano, fortepiano, class piano, and piano literature at the University of South Dakota and devotes her spare time to research and performance of the keyboard music of Spain and Latin America, along with performance and study of early keyboards. The Music Teachers National Association (MTNA) Fellow program offers a meaningful method for honoring deserving individuals while supporting the efforts of the MTNA Foundation Fund through a donation to the Foundation Fund in an individual’s name. To designate a Fellow, a contribution of $1000 or more, along with a completed MTNA Fellow Information Form must be submitted to MTNA. The funds may come from one individual’s donation or from a group of persons wishing to confer this special honor upon a colleague. Each year new MTNA Fellows are recognized at the MTNA national conference. Fellows receive a complimentary ticket	to the Gala, an attractive MTNA Fellow certificate and pin. Also, new Fellows are prominently recognized in American Music Teacher magazine, and their names will appear on a plaque located at the MTNA national headquarters. SDMTA currently has seven MTNA Foundation Fellows: Dr. David Piersel, Arlene Krueger, Ilene Sharkey, Alyce Berggren and Cheryl Koch, Marcela Faflak, and Janeen Larsen The Foundation Committee has decided to go to a biennial plan, thus nominating a Fellow from South Dakota every two years instead of annually. This will give us a little extra time to raise funds and allow donors to spread out their contributions over two years. At the 2000 convention a new honor program was launched to benefit the MTNA/SDMTA Foundation. Contributors nominate a significant musical predecessor through a $5 raffle purchase. That person may be a former teacher, mentor, or someone who somehow was important in the contributor’s musical life. The nominee’s name is written on each ticket purchased, along with the name of the person nominating that individual. There is no limit to the number of tickets that may be purchased. The winning ticket is drawn at the evening banquet and the honoree’s name is subsequently engraved on a traveling plaque which may be displayed in the contributor’s studio for one year or be given to the honoree.